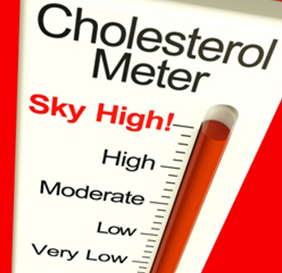 You are here: Home / health tips / What Does “Elevated Cholesterol” Actually Mean? Do you know what it means when your doctor tells you that your “cholesterol is elevated”? You really should take a few minutes and study what your cholesterol numbers mean because there is one of those numbers that results in doctors prescribing you the most prescribed drug in America, and that is you LDL cholesterol. Your “total cholesterol”, which is the phrase most commonly used when discussing stroke and heart disease prevention, is actually the combination of your good HDL cholesterol, as well as your bad LDL cholesterol. The reason they tell you that you are in danger if your “total cholesterol” number is high as a result of the majority of that total count consists of your “lethal” LDL cholesterol. Therefore, if your total cholesterol number is high, it is primarily as a result of there being so much lethal LDL cholesterol present. The other cholesterol that is included in your total cholesterol number is your good “hero” HDL cholesterol. You want this to be as high as possible but it will never out score the number of LDL cholesterol particles. How do you control each of these cholesterols? The management of three lifestyles work together to determine each cholesterol number. The “lethal” LDL cholesterol is primarily determined by the foods you eat and don’t eat. It is caused mainly by the “bad” fats you eat containing trans fats and saturated fats. The “hero” HDL cholesterol is largely controlled by weight loss and exercise. The more vigorous you exercise and the nearer you sustain your ideal weight, the higher your HDL cholesterol will be. Not all fats are bad because eating the good Omega 3 and Omega 6 fats as well as the polyunsaturated and monounsaturated fats will also help in your LDL and HDL cholesterol. Read Prescription For Life and study the steps to take in order to hear your doctor say on your next office visit: “your cholesterol is just fine”.